I don’t feel like making dinner, so this is what I’ll have tonight in front of the telly. 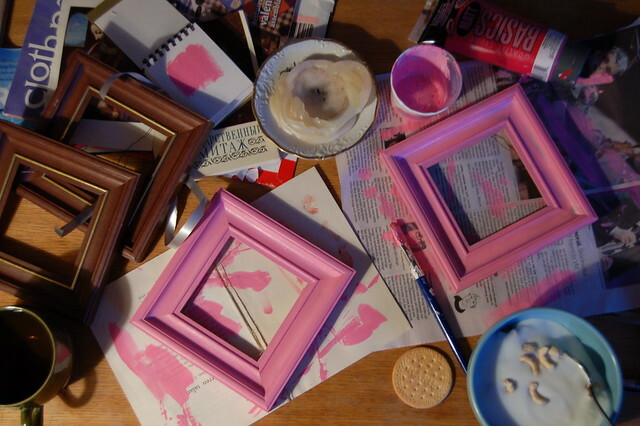 Painting some brown wood frames in a new colour. Eating a cookie. Having a cup of tea. Looking at the moving pictures at the TV, waiting for the sun to set so I can enjoy the candles I just lit. This entry was posted in Home Comforts and tagged About Me, food mood, wall hangings. Bookmark the permalink.